Hackers working via an Iranian server farm staged a cyber-attack on Bank Hapoalim; Bank of Israel convenes emergency meeting. Israel's Bank Hapoalim reported an attempted cyber-attack from Iran on their systems on Thursday. Bank officials said the attack was foiled by extant security measures and that the hackers failed in their mission. Meanwhile, Yisrael Hayom reported that The Bank of Israel convened an emergency meeting last night with representatives from Israel's banks to discuss ways to defend against cyber-attacks. Security officials traced the Bank Hapoalim attack from servers in Iran, but noted the Iranian server farm could have simply served as a proxy for hackers elsewhere allowing them to hide their tracks. An involved source said hackers tried to plant a virus trying to obtain user information such as addresses, biographical data, and email addresses. After that security officials informed Bank of Israel of the attack. "There was a very big fuss", the source told the newspaper. 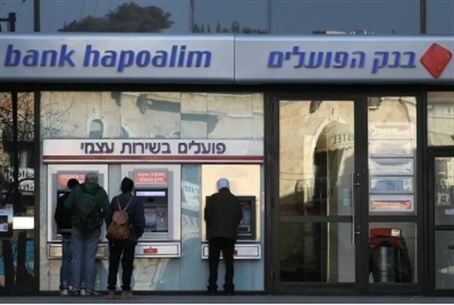 Sources at Bank Hapoalim sought to reassure the public by emphasizing the attack targeted personal computers used for browsing and email, while customer's sensitive personal and account data were not attacked. "It was an attempt to infiltrate the bank's personal computers," the Bank Hapoalim source said. "As a result, our information threat level was increased. But I must emphasize that the hackers failed to penetrate our sensitive systems." The Bank of Israel did not respond to information requests. Cyber-attacks on the mail servers of banks has been a regular part of cyber-attacks from Islamic countries targeting Israel. Often security for mail servers is inferior, if not completely non-existent. Managing Director Shai Blitzblau of Israel's Maglan information security told Yisrael Hayom such attacks will continue. "If the bank's business website is attacked and unavailable for a few hours, its not the end of the world. But internal email is essential for the bank to function at all. Its very essential in the modern world."